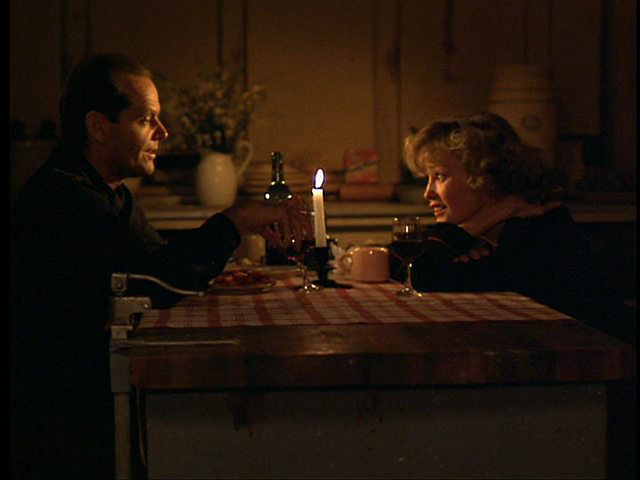 A drifter (Jack Nicholson) begins a steamy affair with the wife (Jessica Lange) of his new boss (John Colicos), and soon the two are plotting to commit murder. Remaking a certified cinematic classic is always tricky business, given that the question “Why bother?” lingers naggingly in one’s head. 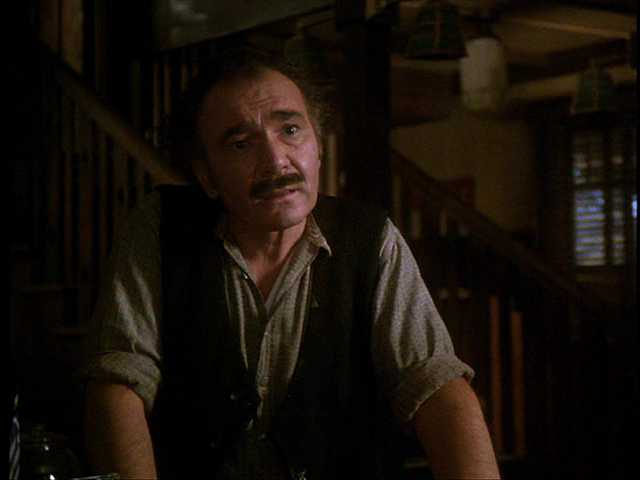 In this case, director Bob Rafelson and screenwriter David Mamet (whose distinctive voice is nowhere in sight) seem interested in creating a more “authentic” version of James M. Cain’s Depression-era novel, which they achieve primarily by incorporating explicit scenes of steamy sexuality between Cora (Lange) and Frank (Nicholson), and restoring cuckolded husband Nick Papadakis’s Greek ethnicity (he was simply “Nick Smith” in the 1946 version). Unfortunately, however, Rafelson and Mamet are unable to create a more interesting or compelling drama than that told in Tay Garnett’s MGM classic: while both Nicholson and Lange are excellent actors, they can’t compete with the iconic status of their predecessors (Lana Turner and John Garfield), and neither one is particularly well cast. With that said, Rafelson’s update is at the very least a visual treat: Sven Nykvist’s glowing cinematography is as seductive as always, and set designer George Jenkins effectively recreates a specific time and place in history. Nonetheless, this re-envisioning of Postman ultimately remains optional viewing rather than a must-see gem. No, though film fanatics will likely be curious to at least check it out. Not a must. Unfortunately, a bit of a bore, really. I have a copy of the book and have yet to get to it. Maybe I’ll finally read it before re-visiting the Garfield/Turner. In terms of story, the remake certainly feels closer to what the novel probably is in some ways (esp. expansion). But, of course, a movie of anything stands or falls on its own. 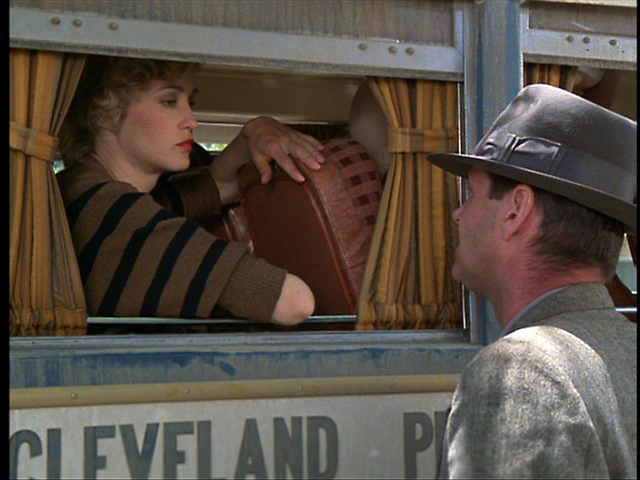 Rafelson’s version has a number of elements firmly in place that work well: the sense of the period is impressive; I don’t think Nykvist’s work is ever under-par, anyway; and Nicholson and Lange both hold a certain potential for the characters. Slow-going and more or less forgettable.